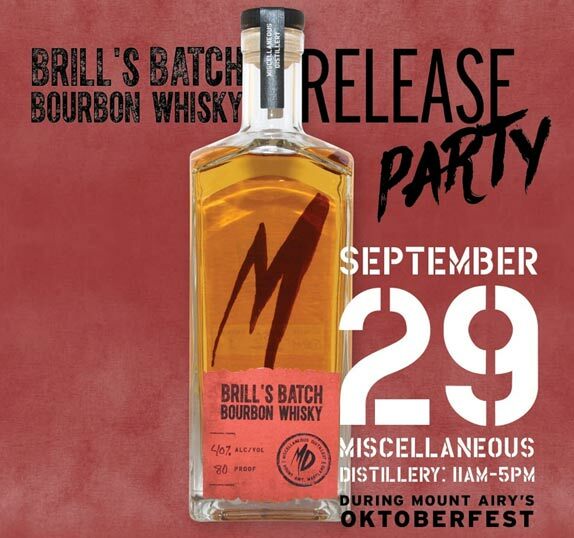 In celebration of National Bourbon Heritage Month, MISCellaneous Distillery will release Brill’s Batch Bourbon Whisky on Saturday, September 29. Though Brill’s Batch Bourbon meets the technical definition with a mash bill including 51% corn, what makes it unique is the use of rye for the remainder giving it more character than your typical sweet bourbon. Consistent with the rest of the MISCellaneous Distillery portfolio, all grains are grown here in Carroll County then stone ground on a grist mill built in the 1800s. Batch #1 has been aged for 6 months in a 5 gallon barrel and has notes of toasted pecan and caramelized sugar (think of a pecan pie, but from a beautiful bottle). This spirit is named for owner Margaret “Meg” Brill McNeill’s family. John Briill (yes – 2 i’s) was born in 1786 in Inachenhein-Am-Hardt, Germany. His great-great-granddaughter Marilyn Brill MacWhirter (Meg’s grandmother) will be enjoying her namesake bourbon at the release celebration. We searched and shook the family tree, and couldn’t find a single horse thief, pirate, or disreputable character. The upstanding Brill’s would approve of the smooth, sweet character of this fine spirit. Release details: Saturday, September 29 (11am-5pm). This event is in coordination with the Inaugural Mount Airy Oktoberfest, so there will be a biergarten, family-friendly activities, and vendors on Main Street to check out as well. Rock the event in traditional Oktoberfest gear and enter the apparel competition to win a bottle of Batch #1 of Brill’s Batch Bourbon Whisky. Judging at 3pm in the Biergarden. By an act of Congress in 2007 (S. Res. 294), September was declared National Bourbon Heritage Month. Now a spirit appreciated and enjoyed around the world, by definition, bourbon must be made within the United States (NOT necessarily in Kentucky), use a majority corn in the mash bill and be aged in new, American white oak barrels. Bourbon was designated “America’s Native Spirit” in 1964. 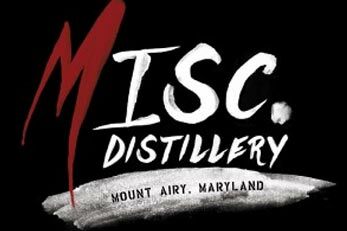 MISCellaneous Distillery is a craft distillery located on Main Street in Historic Downtown Mount Airy, Maryland. Our bottles are filled with only the best, using ingredients grown on local farms and techniques that invite conversation. Offerings include rum, rye whisky, corn whisky, bourbon, vodka, and gin. The distillery location at 114 S. Main Street unit B103 is accessible from the back of the building and parking is available in the municipal lot. Hours are Friday 4-7pm, Saturday 12-6pm, and Sunday 2-6pm or by appointment.